Even if your garden is small, that doesn't mean that your vegetable output has to be. You can grow lots of healthy and tasty veggies with these ten high-yield, fast-growing plants. If you just have a small patio or deck, you are still in luck. Many of these plants can be grown in containers, and some grow vertically rather than horizontally. The fruits of your labor will be just-picked-fresh and will add tasty goodness to all your summer meals, and you'll make a big dent in your grocery bill as a bonus. Harvest lettuce leaves whenever you need them, and more will grow right back in their place as long as you don't damage the crown. 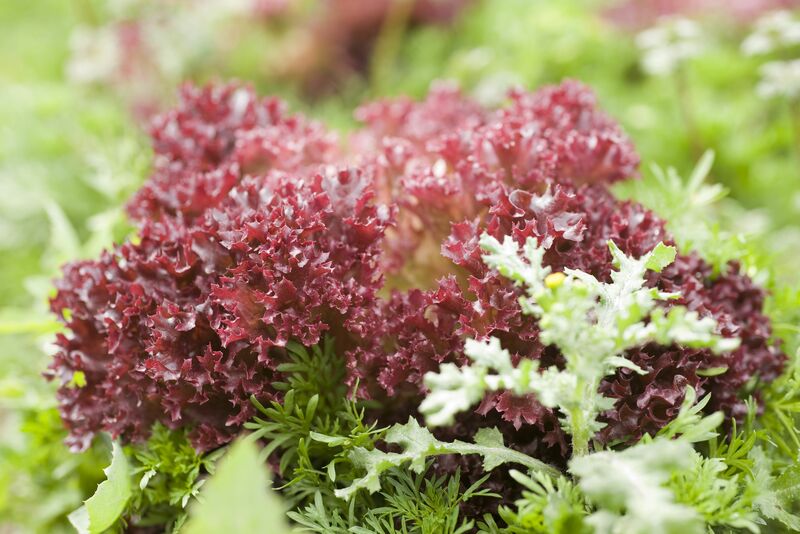 Leaf lettuce varieties you can grow include oak leaf, red sails, and mesclun. Plant cherry or grape tomatoes and you'll get gobs of tomatoes in compact clusters. They'll do well in the ground or in containers on a patio or deck. So use any sunny spot that you have available. Give cucumber plants a place to climb so that they don't take up a lot of space, and you'll end up with more cukes than you can pick, pickle, and give away. If you want to grow cucumbers in containers, opt for compact or bush varieties. Their vines will only spread a few feet. Left to its own devices, squash will take over every inch of your garden. But if you grow it vertically, it will do nicely in a small garden and still produce plenty at harvest time. Bell peppers grow up, rather than out, so they're the perfect candidate for a pint-sized garden plot. Smaller pepper varieties also do well. Tuck them into your landscaping where they'll look ornamental or grow them in pots on your patio. Enjoy all-you-can-eat peas in the spring since they are cool-season vegetables. Then replant the space with something else for the summer and fall. How's that for making the most of a small space? Plant a small plot of beets, and you can eat the beet greens early in the season and then the actual beets later in the season. Now that's productive garden space. 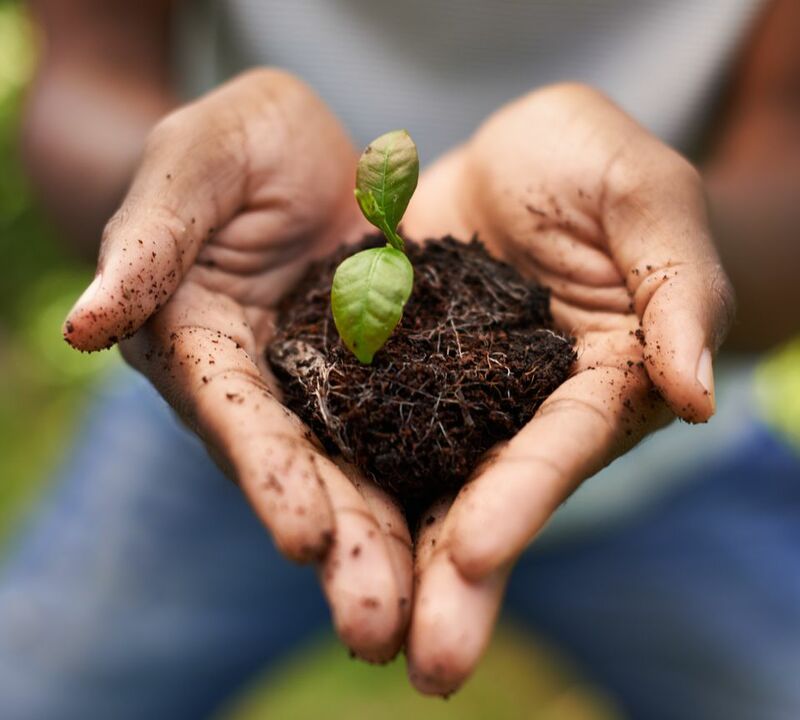 It only takes about 45 days for radishes to reach harvest size, so that's another spot in your garden that you can replant, either with radishes or another plant. Train pole beans up a pole or trellis, and your bean plants will give you a huge (and long) harvest in the teeny tiniest of spaces. Herbs love to share space with other plants. Use them to fill in around your larger edibles, and you'll get more food from every inch of your garden.